We’d love your help. 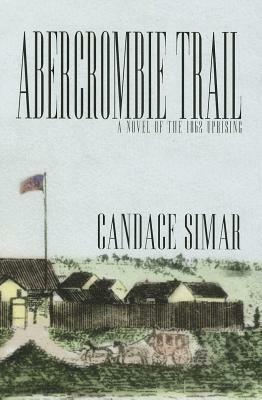 Let us know what’s wrong with this preview of Abercrombie Trail by Candace Simar. To ask other readers questions about Abercrombie Trail, please sign up. Our newspaper ran a story about this local author, Candace Simar, and her debut novel Abercrombie Trail: A Novel of the 1862 Uprising and I put in the back of my mind to pick up a copy 'one of these days'. I stopped at the libary one day and ran across this little treasure. To be honest, I didn't expect much. It wasn't a 'high quality' publication; it was something a local gal from the little neighboring town of Pequot Lakes could publish. I grabbed it thinking 'whattheheck'. In April of 1860, a Our newspaper ran a story about this local author, Candace Simar, and her debut novel Abercrombie Trail: A Novel of the 1862 Uprising and I put in the back of my mind to pick up a copy 'one of these days'. I stopped at the libary one day and ran across this little treasure. In April of 1860, alone, Evan Jacobson left Norway, bound for Minnesota, where he would find land and great opportunity. He got to Minnesota just in time for the 1862 Dakota Nation Uprising. I couldn't have been more wrong with my expectations. Loaded with history, heartbreak, jaw-dropping violence and hope...this is a book I would read again. It is such a GOOD story. Great history lesson and to imagine all this happened in my "neck of the woods". I grew up just north of Sauk Center. It will be good to tie this story and history to the upcoming movie Lincoln directed by Steven Spielberg all happening at the same time. This is a kind-of adult version of Little House on the Prairie, the adult features; politics, daily living, and the adult stressors of the time, survival in a land taken from those who roamed it and our ancestors wanted It is such a GOOD story. Great history lesson and to imagine all this happened in my "neck of the woods". I grew up just north of Sauk Center. It will be good to tie this story and history to the upcoming movie Lincoln directed by Steven Spielberg all happening at the same time. This is a kind-of adult version of Little House on the Prairie, the adult features; politics, daily living, and the adult stressors of the time, survival in a land taken from those who roamed it and our ancestors wanted to own it and create their version of where they emigrated from. Wanting what is familiar in a new and different land. Difficulty for both parties and you wonder why there was an uprising just as explained in the book. "The Dakota do not see the soldiers as their enemy as much as the settlers," he said. Crooked Lightening told me that it was the settlers who were destroying their hunting grounds and turn the land into farms. The soldiers have no interesting in the land and are less of a threat." Along with this well noted statement; "It wasn't just because the gold was late; the traders were dishonest, the settlers demanded land and Abe Lincoln too busy with the Civil War to do justice to the Dakota people. Great historical fiction about the 1862 Uprising in Minnesota between the norwegian immigrants and the Dakota Indians. Since my family is all from Minnesota I found this well written and very interesting. I truly enjoyed this book. I was able to actually meet Candace at our local library. It was so interesting to hear all about how the book came about. I would read more of Candace's books. I hear there are at least two more coming out......... Something to look forward to! Execellent book! I love reading about Minnesota History and immigrant life on the prairie during the 1862 Sioux Uprising. A must read! I found this book very interesting having grown up in Minnesota and knowing there were Indians hung in Mankato. 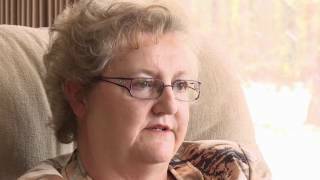 Telling the story through the eyes of a young man just emigrated from Norway was a good method. The only criticism I have is there were numerous mistakes and in its e-book form which is how I read it there were many formatting issues. This book is a fictionalized story set around the time of the US/Dakota War of 1862. Told from the perspective of Evan, a Norwegian immigrant who drives the mail/supply coach from Ft. Snelling to Fr. Abercrombie and back, the book mostly focuses on the lives of European immigrants trying to make it on the frontier. In this, the book excels. In telling the story of the war, not as much. The treatment of Native Americans by the US Government and by extension, immigrants, is one of the stains on the This book is a fictionalized story set around the time of the US/Dakota War of 1862. Told from the perspective of Evan, a Norwegian immigrant who drives the mail/supply coach from Ft. Snelling to Fr. Abercrombie and back, the book mostly focuses on the lives of European immigrants trying to make it on the frontier. In this, the book excels. In telling the story of the war, not as much. We were given the series of Candace Simar's books for Christmas. We live in Douglas County Minnesota and have been told by historians that the road by our house may well have been part of the Abercrombie Trail. Living in Minnesota all my life I had heard little of the 1862 uprising. Some of the things described in this book were hard to read however I found the book interesting and enjoyed it very much. Everything you could want in a book, Candace Simar is a weaver of words and puts you right there, characters to care about, tragedy and triump of life in Minnesota. I love history, especially MN history and a good tale, this is all that and more. Well researched and the history is woven into the story seamlessly. Brings the times and the people alive. Loved this book. Well written. Well paced. Interesting perspective on the Sioux uprising. While it started out a bit confusing, I loved it! A tip: maybe make a list of characters as they come up? I had to check back on some people; there were many. This book was recommended and loaned to me by a coworker. It was a great historical story of what it might have been like for a Norwegian immigrant back in the years leading up to and during the 1862 Dakota uprising in MN. I am torn by this book. The history is interesting and heartbreaking, but the writing bores me. The characters are one-dimensional. Sad historical-fiction account of the Dakota uprising. November Book Club selection. At one of Evan's stops his host poured his coffee into his saucer to drink. I seem to remember my grandfather or someone around that time doing that when I was much younger. The descriptions of the killings were very disturbing. Otherwise I did enjoy reading this book. Fascinating view into a part of history I didn't know too much about, even though it took place in our own region. This is a very good tale of the immigrant experience in Minnesota and the impact of the Sioux Uprising of 1862. The author does a good job of balancing the ferocity of the attacks with the frustration at the delayed payments and broken treaties. It's a little bit of a slow build as Evan makes his way back and forth along the trail between Ft Snelling in present-day St Paul and Ft Abercrombie in the Dakota Territory. The trip takes about 10 days and he makes it several times. He stays with variou This is a very good tale of the immigrant experience in Minnesota and the impact of the Sioux Uprising of 1862. The author does a good job of balancing the ferocity of the attacks with the frustration at the delayed payments and broken treaties. It's a little bit of a slow build as Evan makes his way back and forth along the trail between Ft Snelling in present-day St Paul and Ft Abercrombie in the Dakota Territory. The trip takes about 10 days and he makes it several times. He stays with various homesteaders and farmers along the way, each time developing his relationship with them. He plays matchmaker for several of the single men, becomes godfather to a newborn, becomes friendly with some and wary of others. Pay attention as you go through this section, because each family is affected by the Uprising that makes up the back half of the book. I struggled a little to keep track of who was who along the trail. Enjoyed the story very much, since it is set in the area where I live. I had not realized that the Sioux uprising had affected this area so much. I think all Minnesotans need to learn more about this event, and I'm glad that Candace Simar has written this book. It's an enjoyable way to learn about the horrific things that happened, and about the horrific things that caused it to happen. Actually enjoyed it more the second time, and it provided great fodder for our book discussion. I enjoyed the setting of the book, as it took place in parts of Minnesota I've lived in or near, but I found myself wanting more - better character development, better editing (Kindle version). I will read her 2nd book (there are 4 in this series), and I'll decide from there if I'll read the other two. Loved this book!! While the characters are fictional, the setting and historical details are not! I learned so much about the Souix Uprising I never knew. This was sad to me, especially since I grew up near Camp Release! If you like Historical Fiction, you will love this!! Check out all her others, as well, as they just keep getting better!! Realistic, well researched and interesting fictional account of a young Norwegian man who immigrates to Minnesota in the mid 1800s. He works as a stage coach driver between Fort Snelling and Fort Abercrombie during the time of the Sioux Uprising. The book looks at the Uprising and later books in the series deal with the affects of this event. Inside look into the lives and trials of the early settlers in southwestern MN. How did they even survive? The "Sioux" uprising was a tragedy no matter which side you view. Want to read more about this time period. Good job, Candace Simar! Abercrombie Trail was a delight to read. I really enjoyed reading this book. Learning About the history. The only negative was that someone should have proofread it. Spell check alone is not enough. This is a very good historical book with lots of great insight to a time of disaster with the Dakota Indians. I would definitely love to read more books like this. I enjoyed this book very much, held my interest, learned new history about the early days of my state. I'm looking forward to reading the rest of the books in this series.